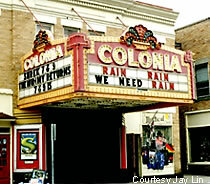 In Norwich, NY we find a delightful old theatre, the Colonia. The individual bulbs flash in a dance of light when the sun sets. Local farmers lament the lack of precipitation with the message on the marquee. Check out the various Colonial Theatres and more at Roadside Peek's Grand Cinema East. 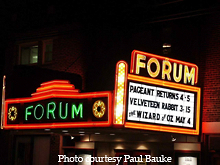 The Forum Theatre in Metuchen, NJ opened in 1928 as a live theatre and vaudeville tryout house. Soon after if became a movie theatre for local moviegoers. The theatre still has live performances and occasionally a film festival. 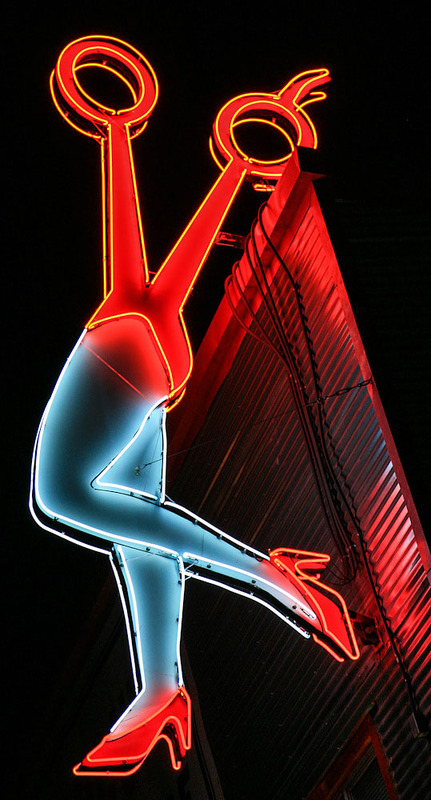 See this neon theatre and more at Roadside Peek's Neon Theatre East.